If you relish in the euphoric happiness of a good OG Kush, you’re going to adore these OG Kush Auto seeds. Original Sensible Seeds has used all the best top drawer genetics to bring together their own version of OG Kush with a hand selected Ruderalis so that you have all the power of a classic strain, but now it’s so much easier to grow. In her flavour the OG Kush Auto cannabis seeds are full of delicious earthy tones, masking the fact that this little beauty is packed full of THC. But when that smoke hits, you are going to know it, enjoying relief from stress, pain and headaches until that delicious feeling of total relaxation puts you in a world of blissful sleep. This is a great cannabis to boost your appetite and make you feel positive, especially following illness or just to make you feel better about the world. 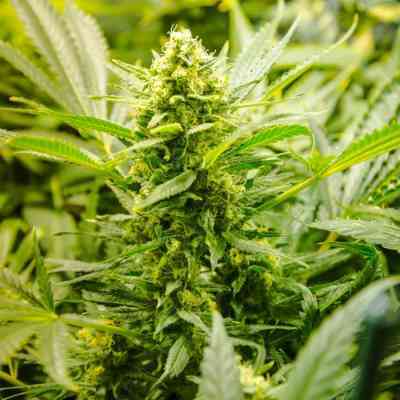 If you’ve found the original OG Kush weed seeds just too hard to grow, or you want the best OG Kush in the shortest possible time, these autoflowering cannabis seeds deliver. Pop a few in your shopping basket today and you may never go back to regular seeds again.